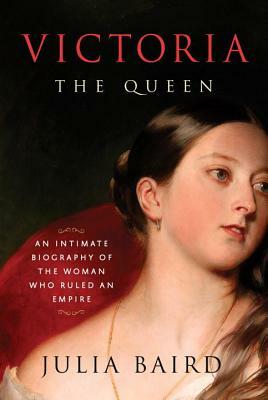 Victoria: The Queen: An Intimate Biography of the Woman Who Ruled an Empire (Hardcover) | The working bookstore for the reading class. Julia Baird is a journalist, broadcaster, and author based in Sydney, Australia. She is a columnist for the International New York Times and host of The Drum on ABC TV (Australia). Her writing has appeared in Newsweek, The New York Times, The Philadelphia Inquirer, The Guardian, The Washington Post, The Sydney Morning Herald, The Monthly, and Harper’s Bazaar. She has a Ph.D. in history from the University of Sydney. In 2005, Baird was a fellow at the Joan Shorenstein Center on Media, Politics and Public Policy at Harvard University.